You’d be hard-pressed to find someone who believes that turning a famous ballet, which was originally a book, into a fantasy adventure film. It’s an interesting concept but it would be extremely difficult to pull off. Yet Disney had this belief that they could make The Nutcracker into a hit as they did with Alice in Wonderland. Unfortunately, it didn’t quite work out this time. One could even say it’s trying TOO hard to be like Alice in Wonderland. The problem is that the film doesn’t have many unique or intriguing characters in the film. A majority of the actors don’t give any personality to their characters at all. They’re mostly just soulless characters. As a result, it becomes difficult to care about these characters even though they’re well-known characters. At the same time, the story doesn’t quite hit the fantasy adventure tone that it was trying to hit. The mixture of the ballet, Hoffmann’s book, and an adventure storyline don’t seem to mesh well with each other. Be that as it may, the production design is stellar here. 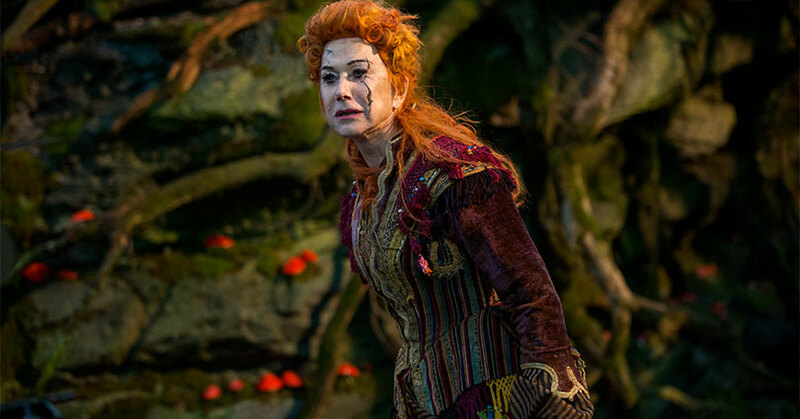 From the costume design to hair and makeup to the set design, everything looks absolutely wonderful. Even though a majority of the cast provide no personality to their characters, there are some that are worse than others. Keira Knightley’s performance leaves much to be desired. A lot of her performance sounds like a poor Veruca Salt impersonation than something original… And less annoying. It doesn’t help that the voice she uses is bad as well. Mackenzie Foy, on the other hand, is excellent as Clara Stahlbaum. She’s able to give her character a personality and showcase a good number of emotions. Not bad for a young actor. Similarly, Jayden Fowora-Knight is one of the few cast members to give Philip Hoffman a personality. Since he’s a toy, though, he doesn’t show much emotion. Overall, The Nutcracker and the Four Realms is a mediocre fantasy adventure film. It’s a film that tries to do something new, but it’s not exciting enough to pull off the film’s high concept. 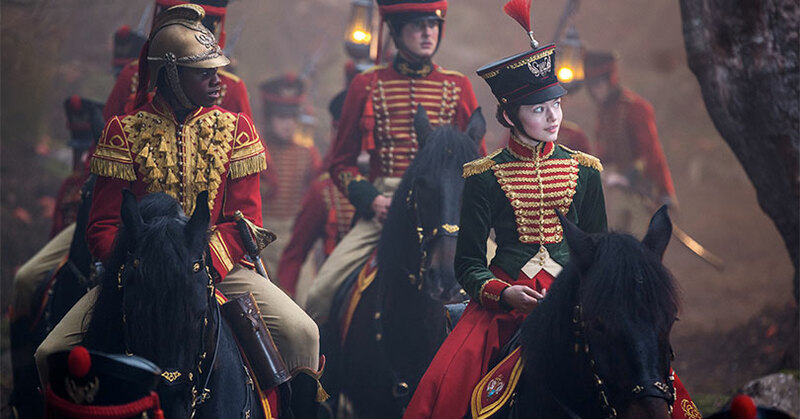 The Nutcracker and the Four Realms hits Ultra HD Blu-ray with an HDR transfer and a 1.85:1 aspect ratio. Since the film was primarily filmed at Pinewood Studios, the artificial lighting isn’t as bright as it should be. The brightness is a shade darker than a pure bright white. Not to mention, the black levels are an obsidian black instead of a pure black. Unfortunately, there’s a good amount of crush in the blacks. That means that there’s a good deal of details lost in the shadow areas. But the film’s use of HDR come into full effect when it comes to the colors. The film uses such a wide array of colors, that it shows on screen here. The bold colors simply pop from the screen. At the same time, the subdued colors, such as Sugar Plum’s dress and hair, doesn’t really pop as much. The skin tones look natural on actors who don’t have a lot of makeup on. The detail clarity is crisp alongside the edges which makes the film looks pristine. The Nutcracker and the Four Realms hits Ultra HD Blu-ray with a Dolby Atmos and a core 7.1 Dolby TrueHD Master Audio track. 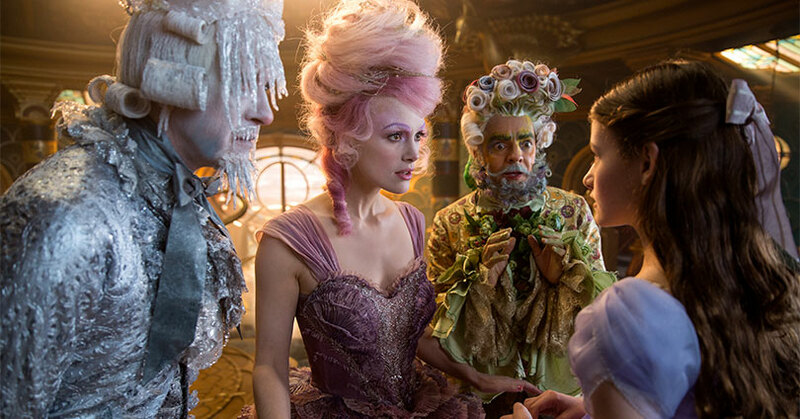 The review will reflect The Nutcracker and the Four Realms’ Dolby Atmos track. Unfortunately, the Atmos mix isn’t as good as Disney’s previous Ultra HD releases. A big reason for that is because of the way the film plays out. Because of the nature of the film, a lot of the audio is front-loaded. There are very little atmospheric effects and the score doesn’t envelope the sound stage much either. As a result, there’s not a lot of immersion unless the scene calls for it. The problem is that it doesn’t happen that often. When the mix does immersive, it’s as playful as the Nutcracker toys themselves. The sounds sweep and pan across the sound stage with great accuracy. Not to mention, the mix gives added depth to the film as well. Similarly, the overhead effects aren’t heard a lot but when it appears you can distinctly hear it. Overall, this is a decent audio mix. The “Conversation with Misty Copeland” isn’t so much a conversation as it is a behind-the-scenes featurette. This piece has Misty talk about her experience in the film and her chance to work with renowned ballet dancers. At the same time, you get a look at the making of the one and only dance sequence in the film. “Unwrapping” is basically your traditional behind-the-scenes featurette. Essentially everything you want to know about the different design departments is in this featurette. Unfortunately, that’s the only aspect of the entire film production that gets covered in this featurette. with the deleted scenes, a majority of them have a short runtime and add no value to the film as well. So you can easily see as to why they were left on the cutting room floor. The last two bonus features are music videos for the film’s two songs, “Fall on Me” and “The Nutcracker Suite.” “Fall on Me” is an incredibly sweet song sung by the father and son duo. “The Nutcracker Suite” isn’t an original song but a 4-minute mix of Tchaikovsky’s ballet. 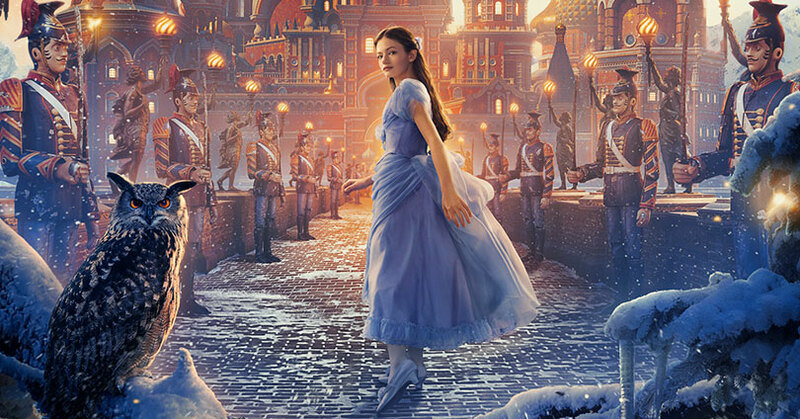 Overall, The Nutcracker and the Four Realms is a decent family film that plays off the popularity of The Nutcracker musical. It’s just unfortunate that the fantasy adventure aspect didn’t really mesh well with the musical. The video transfer is fantastic but it’s a shame that the audio mix wasn’t better. The special features aren’t necessarily in-depth or extensive. Yet there are a one or two gems in there. This Blu-ray was reviewed using a retail/advance copy/unit provided by Walt Disney Home Entertainment. The post The Nutcracker and the Four Realms – 4K Ultra HD Blu-ray Review appeared first on Nerd Reactor. Official Photos from The Mandalorian Revealed!